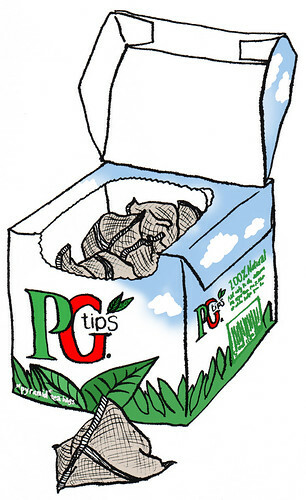 Recently, we noticed this drawing of a box of PG Tips and had to share it. Thanks to hwayoungjung for the image. More PG Tips commercial greatness from Monkey and Al.